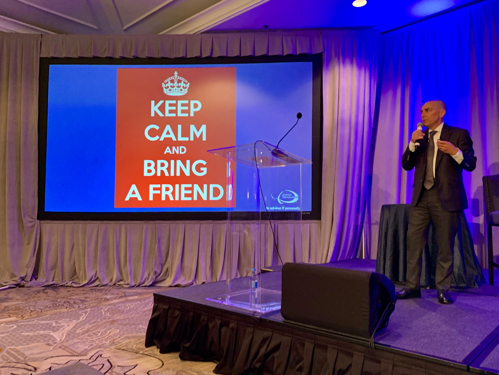 Dasher Technologies, a leading national IT solutions provider, held its annual 2018 Executive Forum at the Ritz-Carlton in Half Moon Bay. According to our top industry partners, the IT industry is evolving faster than ever — faced with an ever-increasing number of connected devices as well as a host of emerging cybersecurity threats. Strategic planning and disruptive technologies dominated discussion at the Dasher 2018 Executive Forum. 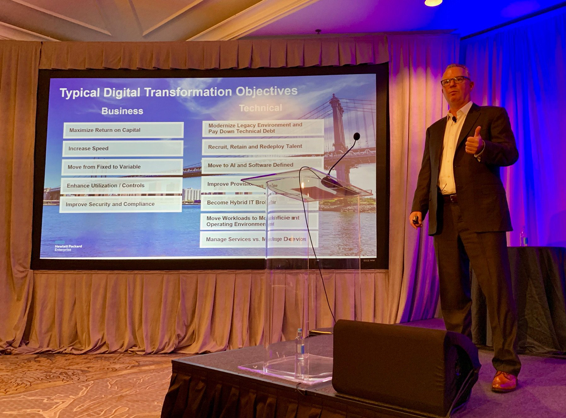 Dasher gathers its clients and partners each year at its Executive Forum to explore emerging trends in digital transformation. 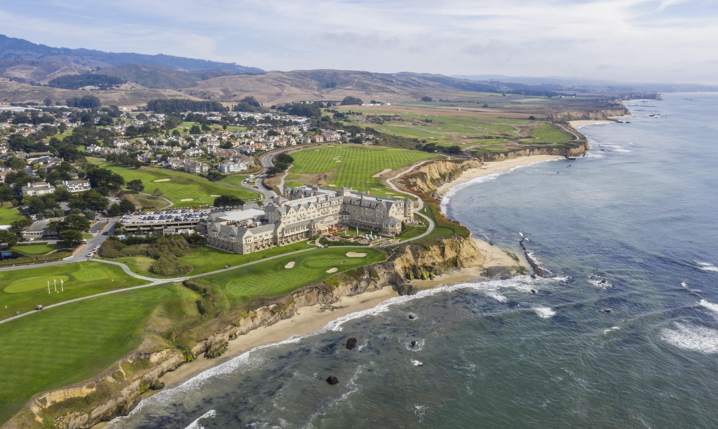 The beautiful Ritz-Carlton Half Moon Bay resort on the California coast served as the setting for two days of client interaction with our IT experts and top industry partners such as Aruba, Cohesity, Darktrace, Equinix, Gigamon, Hewlett Packard Enterprise, Ingram Micro, Nasuni, Okta, Palo Alto Networks, Platform9, Splunk, and Veeam. Leading Silicon Valley executives discussed the future of IT and shared critical industry knowledge to support them on their IT journeys. 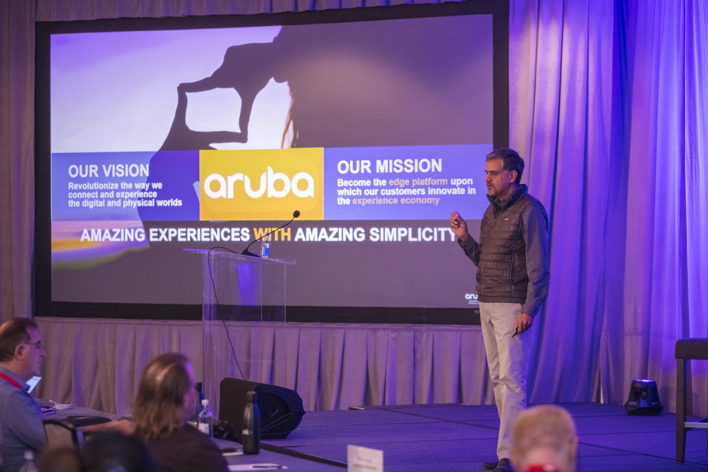 Keerti Melkote, President of Intelligent Edge and Founder of Aruba Networks, discusses the intelligent edge at Dasher’s 12th annual Executive Forum. More and more applications have moved to the cloud, and most digital consumption is now happening on mobile devices (which extend beyond smartphones and laptops to include watches, speakers, cars, or whatever “intelligent” device happens to be on hand on the go). Dasher President Al Chien discusses the trends Hewlett Packard Enterprise is betting on with HPE Chief Sales Officer and President of Hybrid IT Phil Davis. Secure IT systems are also becoming inextricably linked to business outcomes, according to Davis. Intelligence for cybersecurity will continue to be a focus for HPE, as will infrastructure flexibility. Davis revealed why HPE is currently betting on intelligence at the edge, data centers, and security, and discussed how IT is constantly transforming to keep up with the fluid digital world. Coping with it all requires tightly coordinated cooperation, and Davis left the audience with an understanding of HPE’s vision for channel partnerships and strategic alliances, investments, and future growth opportunities. Not long ago, John Sileo’s identity was stolen and used to embezzle $300,000 from his clients. The exposure destroyed John’s career and consumed two years of his life as he fought to stay out of jail. Who better to help Dasher Executive Forum attendees explore the ramifications of a data breach? Cybersecurity begins with actual people and the steps they actively take to prevent data theft. “If a Russian cybercriminal hacked your personal data out of yet another corporate database, would you take it personally?” asked cybersecurity expert John Sileo. Sileo provided a crash course in protecting sensitive data and navigating the confusing web of cybersecurity. He also performed a jaw-dropping live demonstration of just how easy it is for a hacker to gain access to personal information. 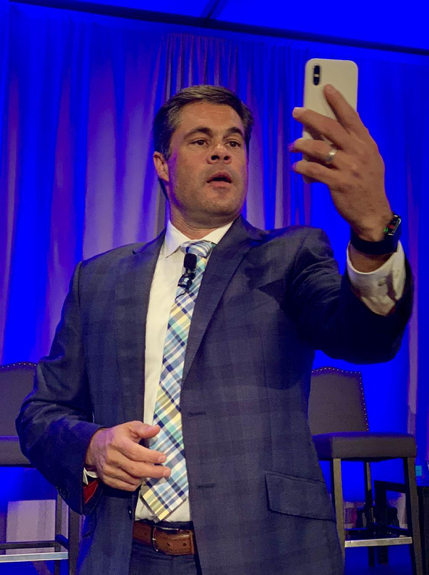 He reminded executives that building secure systems requires tenacity, and “security reflex training” is necessary to keep private data private. Charting the typical digital transformation objectives of HPE customers, courtesy of Dave Twohy, Vice President of Pointnext Sales North America, HPE. Challenged by unparalleled and unprecedented digital growth, IT executives must focus on continued innovation. 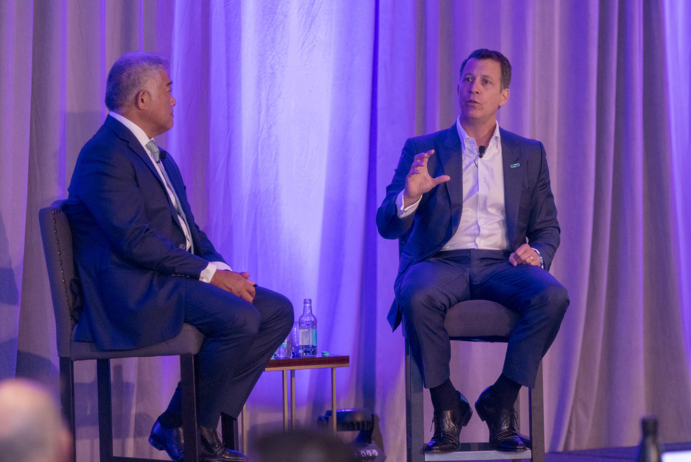 Leveraging more than 15 years of experience at HPE, Twohy shared how customers can accelerate, simplify, and “de-risk” digital transformation journeys. He noted that 85% of IT resources are currently focused on keeping the lights on, instead of innovating. We know that core IT budgets are shrinking, so driving innovation and speed requires customization and hybrid approaches. Dasher’s Chief Technical Officer Chris Saso led the 2018 Executive Forum solutions architect panel. Dasher Chief Technical Officer Chris Saso led a team of engineers in sharing insights drawn from their extensive IT infrastructure experience. Dasher’s expert engineers explained how each client project starts with creating an IT plan leveraging the right technology to achieve their specific business goals. Assess – Dasher crafts a thoughtful solution by first understanding your business goals. We assess your current situation to fix your IT challenges. Architect – Dasher designs a unique solution to maximize your ongoing success. Implement – Dasher implementations set the standard for white glove service through the trusted work of our expert engineers. Manage – Dasher helps manage and evolve your solution to ensure you continue to get the greatest ROI, even as your business needs evolve. To connect with Dasher’s expert IT team, please email info@dasher.com.